Mexico is the most populous Spanish-speaking country in the world and the second most populous country (after Brazil) in Latin America (123 million). It is located between the U.S. the north and Guatemala and Belize to the southeast. Its extensive coastlines include the Gulf of Mexico and the Caribbean Sea to the east and the Pacific Ocean to the west. Mexico is one of the most popular travel countries on the planet. Much of the tourist industry revolves around the beach resorts as well as the altiplano in the central part of the country. It has pleasant and warm weather, unique food, art and archaeology, pyramids, museums, haciendas, superb architecture and 21st century cities, weather from snow mountains in the Sierras, to rainy jungles in the Southeast and desert in the Northwest, numerous golf courses, excellent fishing, and numerous world-class destinations. In pre-Columbian Mexico many Mesoamerican cultures matured into advanced civilizations such as the Olmec, the Toltec, the Teotihuacan, the Zapotec, the Maya and the Aztec before first contact with Europeans. In 1521, the Spanish Empire conquered and colonized the territory from its base in Mexico-Tenochtitlan, which was administered as the Viceroyalty of New Spain. This territory would eventually become Mexico following recognition of the colony’s independence in 1821. The Agave and Tequila region is located in west-central Mexico between the foothills of the Tequila Volcano and the valley of the Rio Grande River. 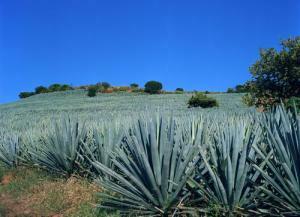 The region is a UNESCO World Heritage Site for its historic cultural traditions represented in the process of growing agave and distilling into tequila, and visiting the farms and distilleries has become popular. Copper Canyon (Barranca del Cobre) is a group of canyons, located in the Sierra Madre Occidental mountains in southwestern Chihuahua. The overall canyon system is vast, with some portions deeper than the Grand Canyon in Arizona. The canyon can be seen from on top, hiked to the bottom, or visited by a scenic railway traveling between Chihuahua and the Gulf of California. 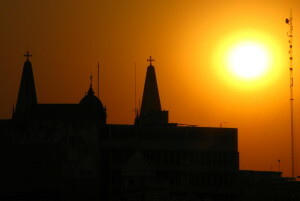 Guadalajara is the capital city of Jalisco state, and the second largest city in the country. It is known for the historic architecture and landmarks, including the Hospicio Cabañas, a UNESCO World Heritage Site. It also offers many of the pleasures of a modern cosmopolitan city. The Gulf of California is a UNESCO World Heritage Site known for its striking natural beauty, with rugged islands, high cliffs and sandy beaches that contrast with the brilliant reflection from the desert and the surrounding turquoise waters. Among the most scenic areas of the long coastline is the stretch between the towns of Mulege and Loreto. The Mayan Riviera is a portion of Mexican Caribbean coastline, beginning south of Cancun and continuing to the town of Carrillo Puerto. 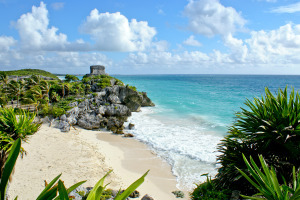 Among its most spectacular features is Tulum, a small Mayan temple for the Mayan royalty, clergy and gods in a seaside setting with beautiful beaches just below. 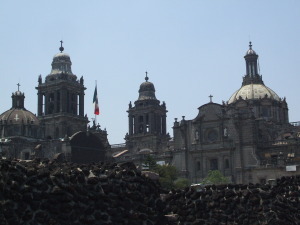 Mexico City is the capital and largest city of Mexico. Located in an ancient Aztec valley and surrounded by high mountains, the city’s colonial historic center is a UNESCO World Heritage Site, and several other Sites are nearby. Mexico City has increasingly become a global city, with diverse nightlife, museums, theatrical and musical performances, and other cultural attractions. 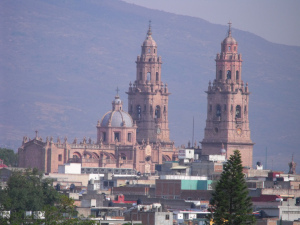 Morelia is the capital of Michoacan state, located west of Mexico City. It has maintained a consistent colonial-style throughout, making it one of the most beautiful in Mexico, as well as a UNESCO World Heritage site. Most of the main attractions are in the historic center and within walking distance. Oaxaca is a city and state in southern Mexico. The city has a historic center that is a UNESCO World Heritage Site, a good base for exploring the region. Monte Albe in the surrounding hills is another World Heritage Site, built by the Zapotec people and known for its huge plaza and platforms that provide views of the countryside. 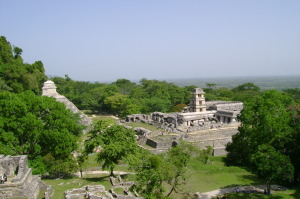 Palenque is the archeological remains of a Mayan city state in southern Mexico in Chiapas state. While it is smaller than the largest Mayan sites in Mesoamerica, it contains some of the finest architecture, sculpture, roof comb and bas-relief carvings produced by the Mayans. Puebla, located southeast of Mexico City, is the fourth largest city in Mexico. It is known for its well-preserved historic center, Zócalo, a UNESCO World Heritage Site It is also known as the home of mole, and is considered one of the culinary centers of Mexico. 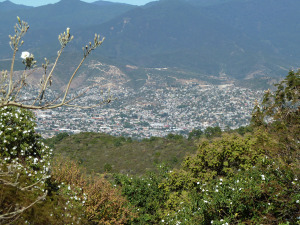 Puebla enjoys a scenic setting, surrounded by volcanoes and snow-capped mountains. 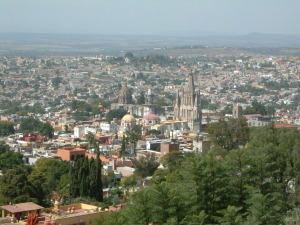 San Miguel de Allende is a small colonial town and UNESCO World Heritage Site in the mountains northwest of Mexico City. The town is known for is colorful historic center, as well as its church complex (Sanctuary of Jesús Nazareno de Atotonilco). 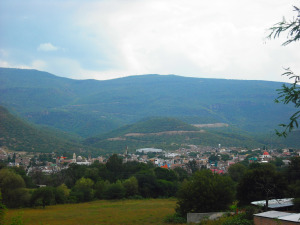 The town is one of the favorite travel destinations in Mexico. Zacatecas is large city in the north-central part of the country that started as a Spanish mining camp in the mid-16th century and turned into one of the most important cities in New Spain. The city’s historic center is a World Heritage Site, known for its Baroque architecture, while mining remains an important part of the region’s unique cultural landscape today.